As a gamer, we can hear what goes on inside our character’s head. We know what they’re feeling and what they intend to do because we control that. How does a game keep us guessing without the element of surprise? How can a game make us feel something for another character when we’re the ones controlling the outcome? 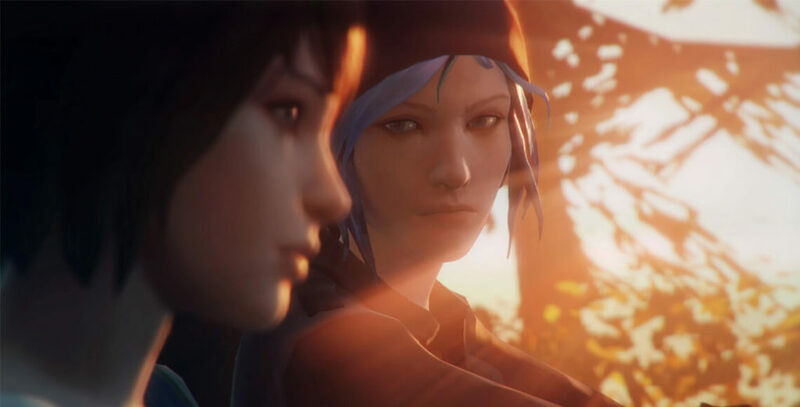 In Life Is Strange, you play the role of Max, a young, aspiring photographer with her whole life ahead of her. You control the actions she takes and the decisions she makes. There are points in the game where you have to make important choices, choices that can vastly impact the direction your story takes. For example, Max finds herself hiding in a bathroom when her closest friend and another classmate get into a gun fight. Does Max risk getting herself killed to save her friend or sit idly behind hoping things don’t take a turn for the worse? This is a choice you have to make for Max. Max faces many of these choices as the game plays out and they never get any easier. At some point, the player begins to empathize with her. Because you are controlling these outcomes, you begin to feel responsible for both the good and bad going on within and around her. It’s a powerful feeling…a feeling that doesn’t bear the same weight in other mediums like movies or television. Have you ever wanted to be someone you weren’t? I’m sure many people have felt that way when they step into the shoes of Nathan Drake, the protagonist of the Uncharted series. He’s a character that we all admire for his perseverance, light-heartedness and compassion. Games give us an opportunity to live the lives we cannot, to be someone we are not. We admire Nathan Drake for that very reason and as a result we want to see him succeed. Naughty Dog knows how to create admiration for a character. Take Chloe for example. 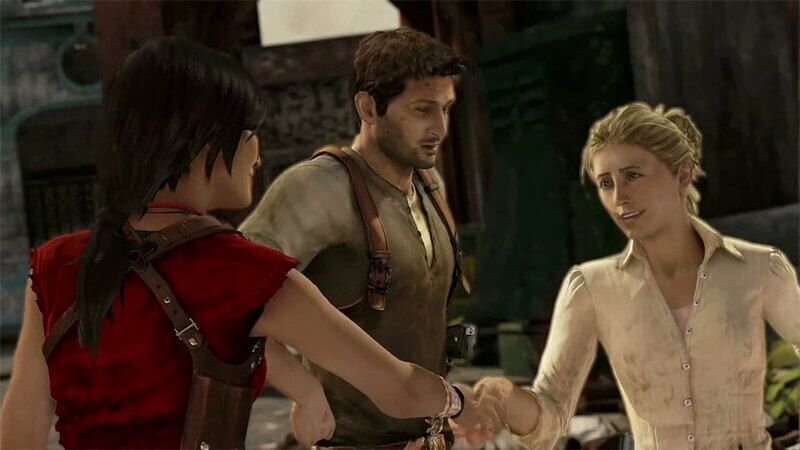 She was first introduced in Uncharted 2 as the third person in the Nathan-Elena love triangle. It wasn’t long before Naughty Dog turned her into more than just an ancillary character, though. She carved out a story all her own. She was determined and passionate and had her own motives to back it all up. Chloe eventually went on to star in her own story in Uncharted: The Lost Legacy. This type of game wouldn’t have been possible had it not been for Naughty Dog’s ability to make a character with true emotion. She was sorely missed in Uncharted 4, and it was that reality that made it clear she had developed a real connection with players. Games give us an opportunity to live the lives we cannot, to be someone we are not. Admiration is a powerful emotion. It often drives the decisions we make in our lives and to make it come through in a video game is quite a feat. Admiration doesn’t come suddenly. It has to build slowly over time, much like love. Love is by far the most powerful emotional tool in a video game and by far one of the hardest to achieve successfully. In real life, finding love can take a lifetime. The old adage “love at first sight” works for some but for most, it’s built over the course of months or even years. So how can a game make you love in just a handful of hours? When you play as a character, a character that truly feels, it’s like you’re spending real time with that person. The more time you spend with them, the more you learn about their strengths and their weaknesses. Not only do we learn the ins and outs of the character we control, but we are also in the unique position to learn more than any other character in the game. We learn all about a character’s deepest secrets and most intimate feelings. 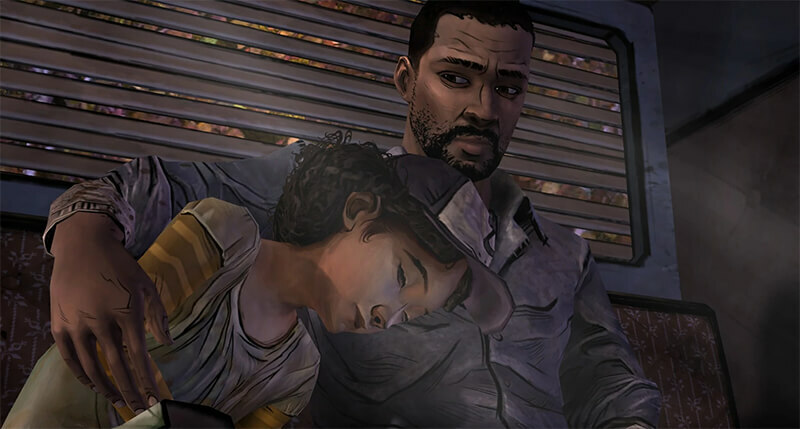 For example, think about the relationship built between you, Lee, and Clementine in Telltale’s The Walking Dead. As you begin to befriend this young, vulnerable little girl, you take on the role of the father figure. By picking and choosing how moments turn out, you continually build that relationship. By the end of the game, the connection between you and Clem is so strong because not only did you save her, but she saved you. Your character was broken and she gave you purpose. That right there is love. Love is when someone impacts your life so much they can fundamentally change who you are. Love is when you have to make hard choices, choices that burn inside. When Clem had to make a life-changing choice about Lee, you felt the love for these characters and making that choice was one of the hardest things I’ve ever had to do in a game. Love is when someone impacts your life so much they can fundamentally change who you are. Empathy, admiration and love. These emotions all lead to one thing: they make us care. 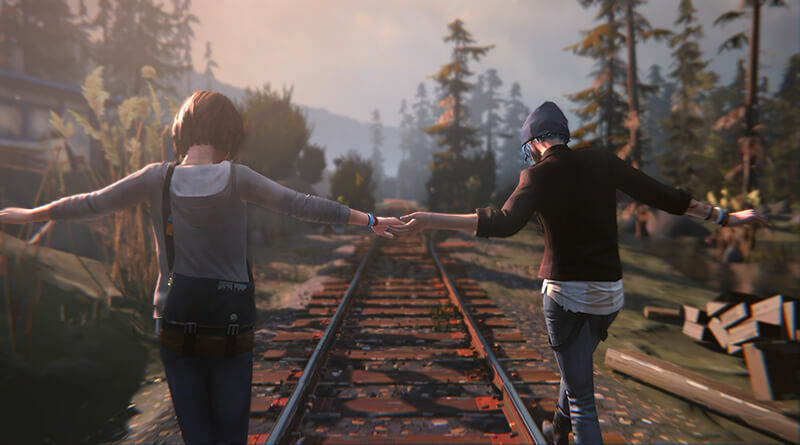 Video games make us experience emotions much deeper than with other mediums. They make us feel not because we’re told to but because we chose to. These feelings not only keep us engaged in the story but they keep us immersed in this imaginary world. Do you remember any specific fight in the world of Rapture? Probably not particularly. But I guarantee you remember that moment you saved your first Little Sister from a Big Daddy. The next time you interact with a character in a game, think for a moment. How does this character make you feel? If the emotions you felt were real then the game has succeeded.